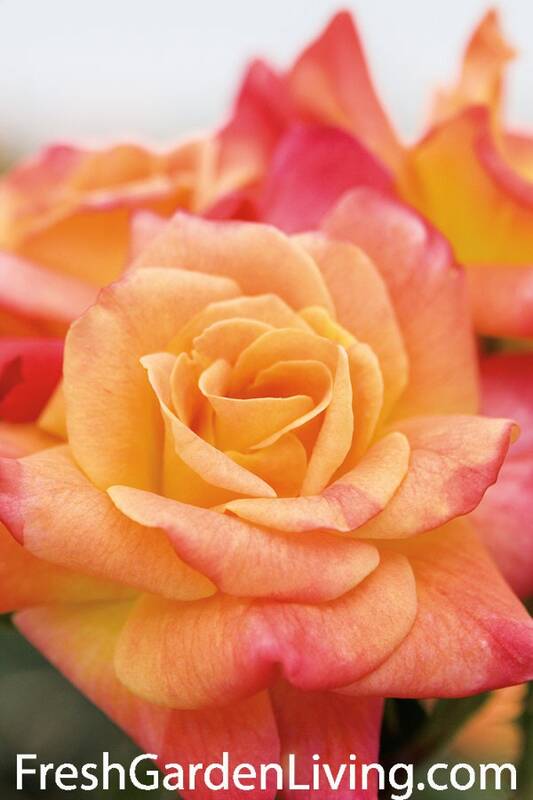 An own root climbing rose with pink, yellow and orange colored flowers, this rose is shipped potted and actively growing ready to be planted in your garden. 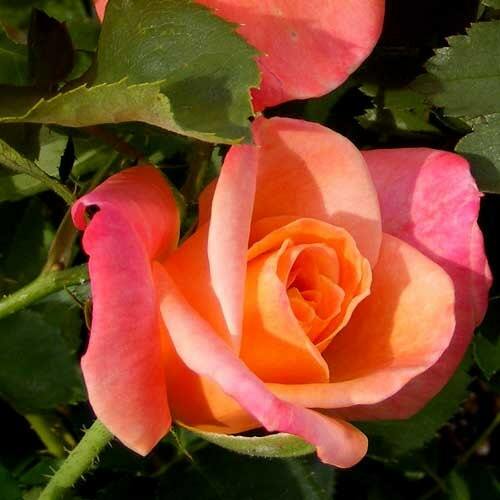 This lovely climbing rose starts blooming early in late spring and keeps producing mulit-colored flowers until fall. 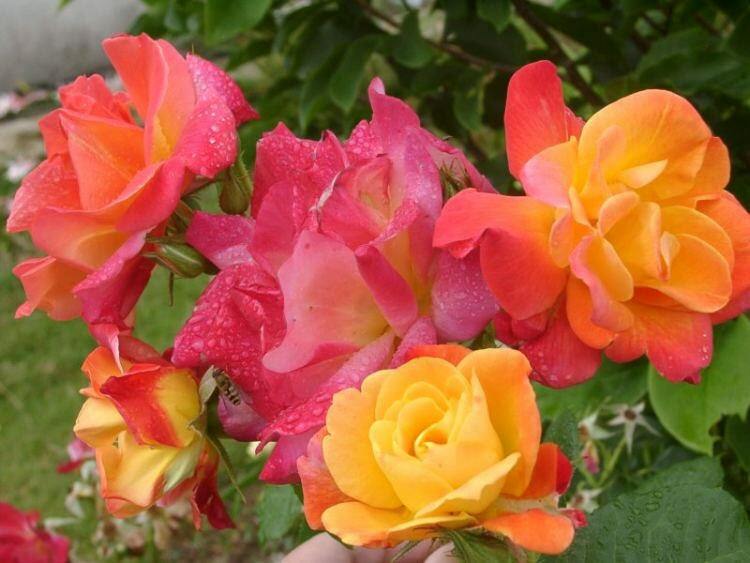 Rosy-red buds open to reveal apricot flowers with pink and yellow accents, just stunning. 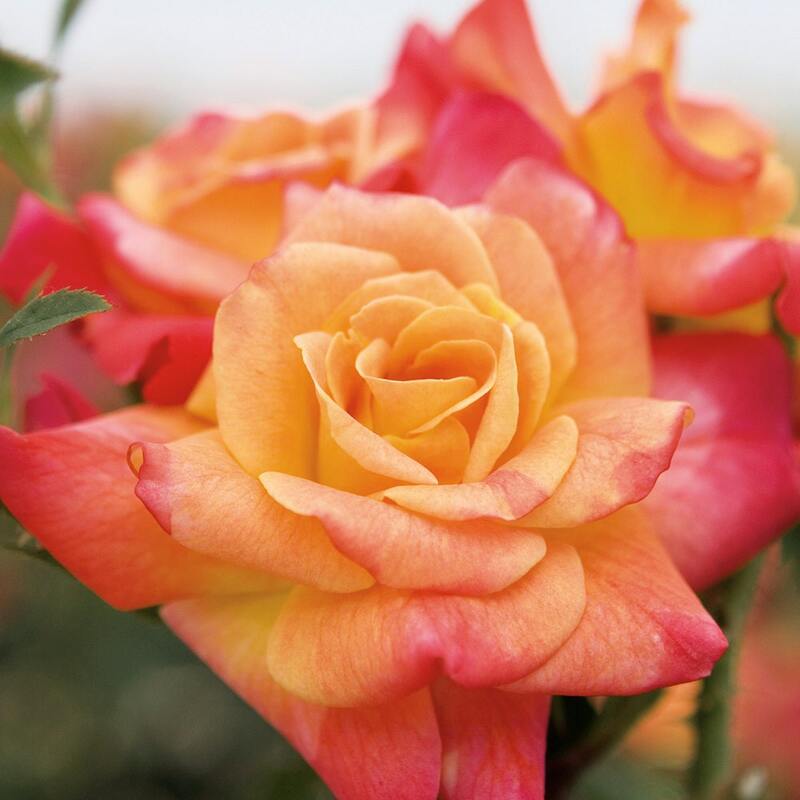 First introduced in 1969 by Armstrong and Swim, Joseph's Coat parentage includes R. 'Buccaneer' x R. 'Circus. Plant Joseph's Coat rose in groups of three to cover a wall, or plant a pair to climb over a trellis and create a flowering display in the air. Dry the flowers to create a unique display. 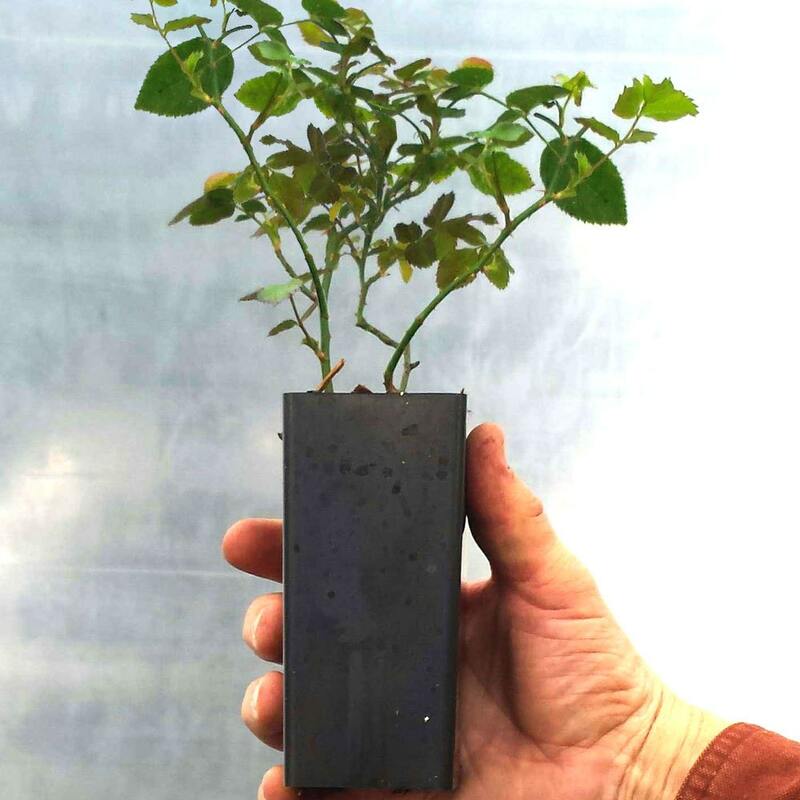 Grown organically at our licensed farm and nursery in Oregon! 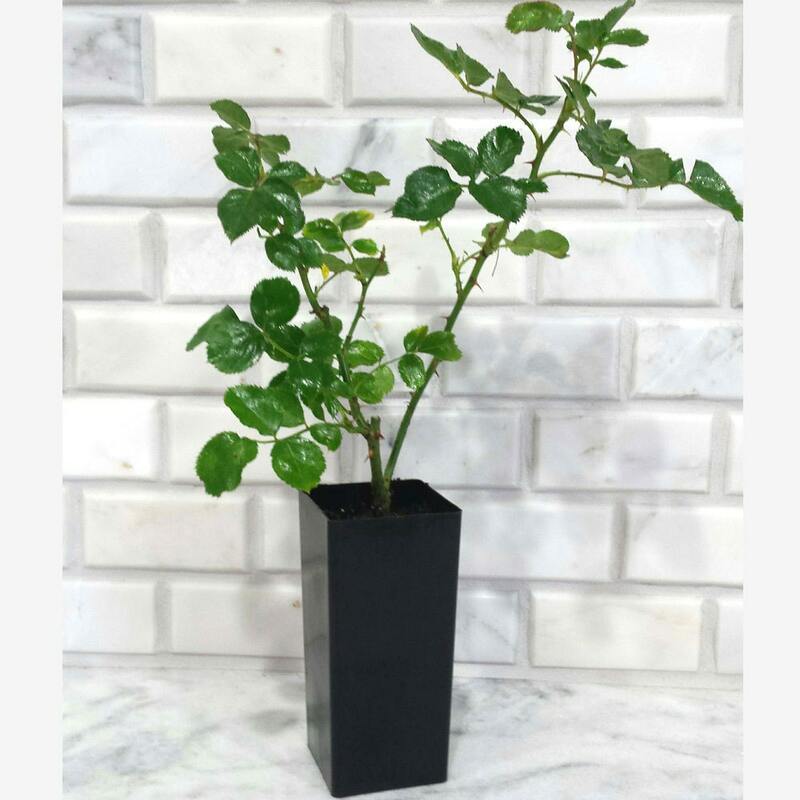 Unfortunately my rose order was lost in the mail. I messaged Karyn and told her about my problem. I was pleasantly surprised to see that she would issue me another cut when their next crop was in. My father ordered a different rose from this vendor as well as praises the package and condition of his rose he received. Very good to deal with and fast response. I can tell Karyn really cares about her plants as well as customers. It came packaged nicely, plant looks beautiful. I can't wait to be able to plant it and watch it grow! Plant was packaged SO well. It arrived intact and happy. I can't wait to see it grow over the next few years. Thank you! Came in very healthy condition, on time, and with great instructions. Lets see this summer, as I wanted a prolific climber to hide a prominent utility box. Hope it can do the job! Planted in 8B zone, lots of sunny, western exposure. Great seller well packed great plant!